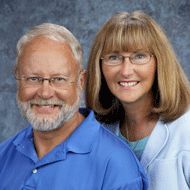 Jeremy & Connie have both taught and ministered in worship, renewal and healing of the heart to many people around the world. They have featured on many recent recordings at TACF and are authors of a book titled "An Audience of One". Their passion is to see the body of Christ drawn into intimacy with God through worship, with healed hearts, prepared for the coming bridegroom.